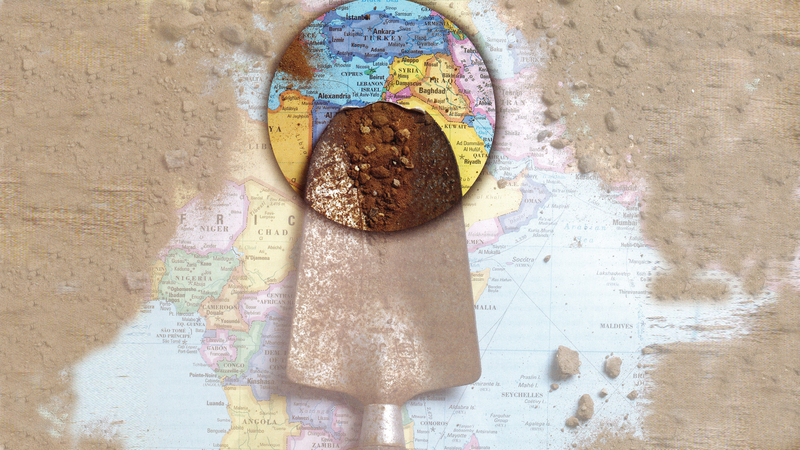 Believers and skeptics alike have looked to archaeology to bolster their foundations. But maybe they're just digging themselves into a hole. Home to the world’s three most widespread monotheistic religions, Palestine is and has been important in the shaping of the human story. Yet for all its common history among adherents of Judaism, Christianity and Islam, it is a highly charged land. Shared history has not guaranteed shared passion. And familiarity breeds contempt. It is difficult, even for the most jaded, to enter Palestine—the land called holy—without experiencing an overwhelming sense of history. Most visitors relate to the opportunity of walking where great and godly figures of the Bible have walked before. Over the centuries, countless visitors to this God-trodden strip of land—believers and skeptics alike—have felt the pulse of passions in a region where the present can’t get past its history. It was into this complex and emotionally charged environment that biblical archaeology was delivered. Although its domain encompasses far more territory than the Holy Land, the controversies it engenders are magnified in Palestine. But their activities did more. They ignited the minds of the Christian world back home with great enthusiasm. All that was left, it seemed, was for someone to start digging up the land of the Bible. And so, in the decades that followed the publication of Robinson’s Researches, and especially after World War II, something more akin to modern archaeological practice began to emerge. As if recreating civilizations from debris (and limited debris at that) isn't hard enough, biblical archaeology has created its own set of problems. If his observation is correct, it is because biblical archaeology walks a tightrope. Archaeology is a physical science. The study of the Bible is not. Unfortunately science and the Bible have always been uneasy partners at best. Perhaps it is the human tendency to seek confirmation of one’s beliefs and to strengthen one’s faith by looking to the physical that defines biblical archaeology’s challenging alliance. It might seem that there is no better way to justify belief than by unearthing artifacts from the biblical ground—to support the intangible with something tangible. But the passion that often drives faith and belief is misplaced in archaeology. Faith isn’t about and isn’t deepened by physical evidence, as we shall see. Still, the desire for physical evidence can be so strong that some have tried to force a fit between the Bible and archaeological findings. As a result, conclusions can be reached without consideration, for example, to whether archaeological artifacts and a given Bible reference even relate to the same time period. Differing ideas of history and chronology can create mayhem with the evidence. That passion for the Bible exists and can even be beneficial to the science of archaeology cannot be dismissed, however. After all, at the simplest level it is often the force behind the staffing and financing of archaeological excavations. At the same time, though, driven by one religious outlook or another, some archaeologists have ignored and even destroyed evidence of other cultures whose artifacts lay side by side with their objects of interest. And when emotions run deep, politics cannot be far away. If misplaced archaeological passion is a problem, political fervor adds its own land mines. Driven by one religious outlook or another, some archaeologists have ignored and even destroyed evidence of other cultures. As a science, archaeology depends on the interpretation of information to establish a historical fact. Without historical markers provided by written records, it must rely on artifacts and, most often, on the presence of various types of pottery. As changes in pottery are observed, so dates can be set. Otherwise it is a matter of dating the successive destructions of cities or towns, once again in light of other historic records. Yet even these forms of evidence can give rise to different interpretations and hence different dating. A current example can be found in the work being conducted in Bet She’an by Israeli archaeologist Amihai Mazar. Mazar has used carbon-14 dating to establish a date profile of the strata of the site, but his conclusions contradict those established by fellow archaeologist Israel Finkelstein at nearby Megiddo. Some correlation between the sites should be expected, so the contradiction indicates that someone’s interpretation is wrong. It also highlights how dependent archaeology is on outside sources to establish what is correct. What, then, does archaeology have to do with the Bible and faith? Unfortunately, in an effort to distance themselves and their field from what are emotional issues, some archaeologists try to put their science above all else, and in so doing they become revisionist and emotional themselves. So has the Bible failed archaeology? Has archaeology failed the Bible? Or are these the wrong questions to ask? So has the Bible failed archaeology? Has archaeology failed the Bible? Or are these the wrong questions to ask? Perhaps we are placing a burden of expectations on archaeology and asking it to do something it cannot do. The purpose of archaeology, then, is not to prove or disprove the Bible. Neither is it to make us believe or disbelieve the Bible. We already do or don’t (or doubt it). The Bible stands by itself and does not need the support of modern scientific study. The Bible is about living a way of life; archaeology is not. As a history book, the Bible is incomplete, and how many gaps archaeology will over time be able to fill remains to be seen. Dever goes on to remind us that “while in theory archaeology does recover objective ‘facts’ from the past—for example, a pot, a stone tool, a figurine, the foundations of a building, perhaps the entire plan of a village, or even a written text—the apprehension of the reality of any of these is always dependent on present, subjective human interpretation.” Perhaps future teams of archaeologists will bring new technologies and other studies to bear to reinterpret pieces of the puzzle we already have that might address discrepancies and answer the yet unanswered questions. But at best, archaeologists deal with incomplete evidence. How literal is biblical history? This, too, is a question that archaeology cannot answer at this time. Because archaeology is an unfinished business subject to interpretation and revision, it would be a mistake to assume that we have found all that we are going to find or that all of the missing pieces have been preserved and are just waiting for us to dig them up. But archaeology does bring the world of the Bible closer to us. It does help us connect it with the tangible world. It does demonstrate that the Bible is not just a collection of stories with a moral point akin to Aesop’s Fables, but rather a history of actual events. The Bible is a chronicle of the lives of real people much like us, with similar concerns and dilemmas, who lived out their lives in places that we can still visit today. Yet the Bible is not simply a history book as that would be defined today. It’s a book about God’s relationship with man. Through the use of histories, prophecies, genealogies and narratives, it tells the story of God’s involvement with an ongoing plan for all mankind. It is an instruction book for the purpose of guiding humanity into a relationship with Him. As such, it is not about science either, nor is it constrained by science. The Bible’s focus is not primarily on the physical—places and events—but on the spiritual—attitudes, beliefs and mindset. Being physical, we feel a natural connection to the physical, but that shouldn’t be our focal point. By and large, the Bible is not concerned with other religions, architecture, land use, and geography, nor even with other histories. Archaeology’s purpose is not to replace, invalidate or support the Bible, but it can potentially help to illuminate the biblical text in several ways. Like nonbiblical sources, which are not critical for faith and knowledge of the Bible’s teachings yet can give us a deeper and fuller understanding of the Bible’s message, archaeology has its place in supporting belief. First of all, archaeology can provide a general background to the events of the Bible. Everything in the Bible occurred in a context. All of the Bible’s personalities lived in their own particular environments or geographical settings. But a simple reading of the Bible does not always show the significance of the situation in which the narrative takes place. Knowing about the location where events occurred will often help us understand why the Bible makes a particular statement. When we understand the context in which a story takes place, we can begin to discover some of the nuances of the Bible. Archaeology has given us insight into the religious setting of the biblical world. The notion of a monolithic or unified Jewish religion during the period between the Testaments was quickly dispelled after the discovery of the Dead Sea Scrolls. We now see that the world of Jesus was not unlike our own—from its intolerance of competing outlooks to its hodgepodge of religious ideas concerning everything from the law to messianic prophecies. Through finds like this, we can see the timelessness of the Bible. Even the excavation of towns not mentioned in the Bible—such as Pompeii, destroyed by the eruption of Mount Vesuvius in A.D. 79—gives us a clear idea of the type of Roman town in which the apostle Paul would have delivered his message. As stated earlier, the Bible is not primarily a history book, nor does it attempt to give us a complete record of history and events. That is not its purpose. It provides only those details that are necessary to make its point. Archaeology can often recover evidence to help fill in the gaps and add color to the images we already have. For example, the Bible does not describe what Jesus was doing between the age of 12 and the time He began His ministry 18 years later. But when we join what we are told about Jesus and His family with findings at the ongoing excavations at Sepphoris, an ancient city of Jesus’ time only four miles from where He lived, we can reliably assume that He might have worked there with His father in his trade as a builder. This kind of extrabiblical information helps to make the Bible come alive. In addition, both biblical and nonbiblical texts that have been recovered through archaeology help us in the translation and explanation of many passages. Words can and do change their meanings over the years. A text that is written in a similar language may provide another meaning for a given word that fits the biblical context better. This can help us to get a better idea of exactly what a biblical author meant. Egyptian papyri have contributed a great deal in this regard to our understanding and knowledge of the world of the New Testament. They have also served to illustrate the language and thought of the common people and thus of the New Testament Church. The Dead Sea Scrolls, which date to the first and second centuries B.C.E., have also helped us in that they have underscored the hand of God in preserving His word over hundreds of years. The story of how we got the Bible is very interesting. We might reasonably expect that with all the copies that were made by hand before Gutenberg developed his printing press, many words might have been changed, added or dropped for all kinds of reasons. But when Old Testament texts found among the Dead Sea Scrolls were examined, for the most part they verified the Masoretic text. The oldest segment of the latter text, the Aleppo Codex, dates to the 10th century C.E. For all the questions biblical archaeology has created and left unanswered, it has nonetheless contributed substantially to the historicity of the Bible. So for all the questions biblical archaeology has created and left unanswered, it has nonetheless contributed substantially to the historicity of the Bible. Discoveries such as the water tunnel beneath Jerusalem dug by King Hezekiah; the Pool of Bethesda, where Jesus healed a crippled man; the stone in the Roman theater at Caesarea inscribed with the name of Pilate; the bema at Corinth, where Paul was tried; and the amphitheater at Ephesus, where the riot of silversmiths occurred, to name a few, help to give historical credibility to the Bible. Archaeology, like all academic disciplines, does not exist in a vacuum. It influences and is influenced by other fields of study. It is when these disciplines converge that new ideas and understandings are formed. When biblical studies and archaeology converge, both are enlightened.